RootTrapper®II is an attractive, white, soft-sided container that benefits your plants. Because the container is white, the soil temperature is reduced and the root zone is cooled, which leads to greater root growth and less water usage. The RootTrapper®II stimulates root branching by trapping root tips. Through the root trapping process, RootTrapper®II ensures that the root tips are always branching. 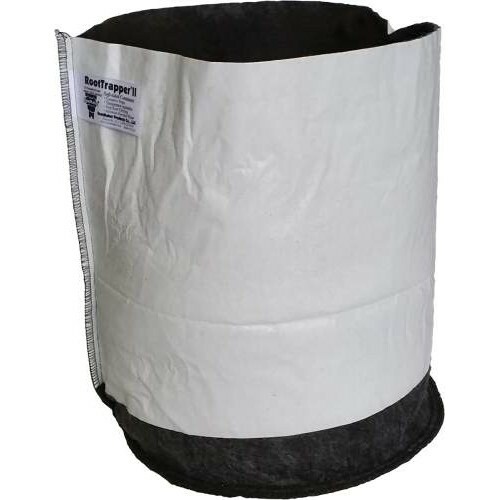 These RootTrapper® containers are more effective than fabric containers that air prune because they do not require the root tip to dry out. Fabric containers that air prune commonly stay wet due to their contact with the ground or trays. The results are circling roots or roots that grow out of the bags.